The PEZ Visitor Center in Orange, Conn., offers a historical, sweet and ultimately fun self-guided tour of this beloved product that is famous for its mechanical candy dispenser with a famous character’s head on top. The 6,000 sq. 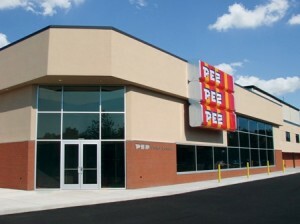 ft. facility features PEZ memorabilia, a PEZ touch screen video game, a motorcycle built with PEZ candies, interactive historical timelines, a candy production area, a viewing area, and a factory store. Like the candy and tour, the admission price is sweet, too: $5 for regular admission, $4 for children three to 12, seniors 60+, and per person for groups of 10 or more. Kids under three gain free admission. Ben and Jerry’s Ice Cream tour in Waterbury, Vt.
Touring the Slater Mill in Pawtucket, R.I.